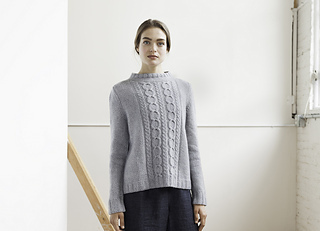 A cabled pullover with mock turtleneck featuring Woolfolk’s LUFT yarn. Berg is worked circularly from the bottom hem and sleeve cuffs to underarms, then divided and worked flat. 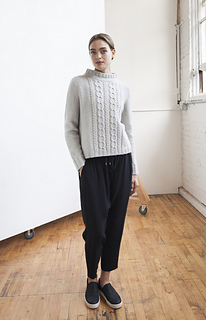 The classic cable pattern, which is worked on the front and back, makes a playful statement centered on minimal stockinette fabric.